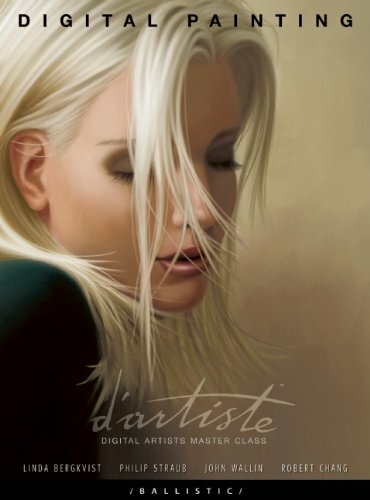 Digital Painting is the first book in the d'artiste Digital Artists Master Class series. The artists featured in this book are Linda Bergkvist, Philip Straub, John Wallin and Robert Chang. Each artist has a short biography, gallery, workflow process and an invited artist gallery where they feature other artists' work. The artists have two tutorials each. They are actually step-by-step look into the workflow with plenty of supported screenshots. Captions explain the concept and rational behind their process. Tutorials they are called, but actually more of a behind-the-scenes look at how these artists work. The tutorials don't actually tell readers to draw this or that, but serve as inspiration for tweaking their own art techniques and workflow.